Resologics offers clients both proactive conflict avoidance and management training and workshops and crisis management consulting. "Without your support we would have lost our business. Thank you." Crisis support client, Europe. “Your leadership, participation, and support made a huge difference for the outcome of the meetings.” Mediation Client, CEO, Non-Profit, Washington DC. The Resologics ideal client is an organization that knows that a super team dynamic is the top priority in meeting their mission and making change in the world. This organization and its leader(s) also understand that the highest-performing and happiest teams are those that have solid competence in conflict engagement. 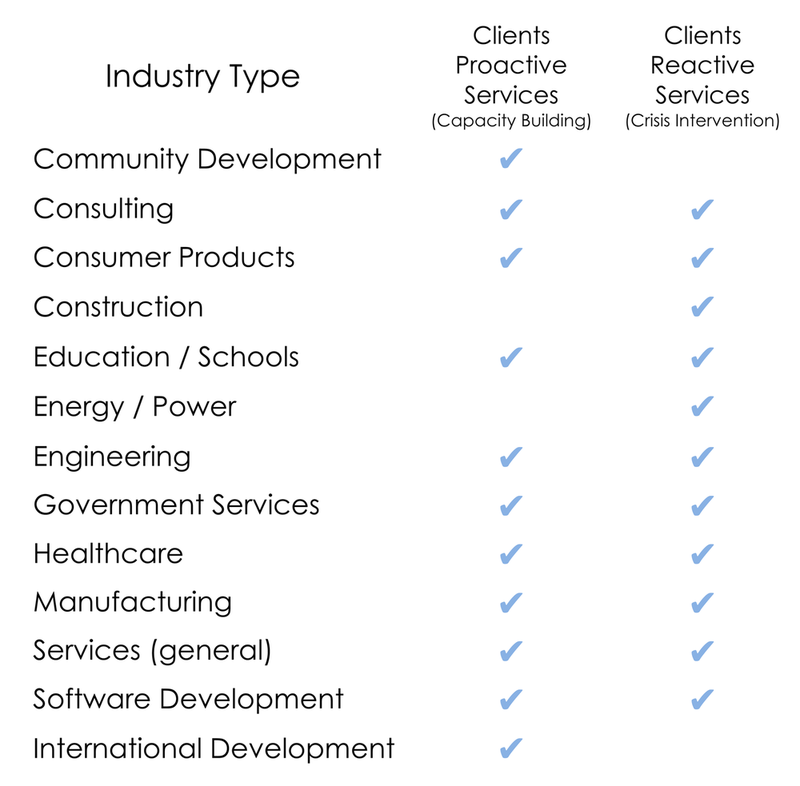 They are (or want to be) proactive in their approach to conflict within the team/organization and have an ongoing budget set aside for the type of services we offer.